Microsoft Surface heading to Italy, Germany and beyond? We are seeing some indication that Microsoft's Surface tablet will be heading to Europe. If you look at Microsoft's product pages for France, Italy , the United Kingdom, Germany and other European Countries, the Surface is now listed. We know that the Surface will only be available through the Microsoft's Stores. Stores, at least the brick and mortar variety, that don't exist outside the U.S. which makes the listing a bit of a puzzle. 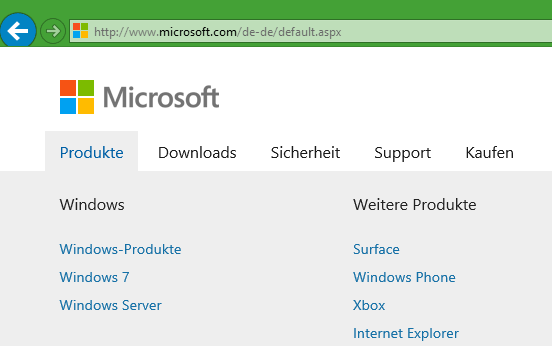 With the Surface popping up on Microsoft's European product pages this could mean a couple of things. It could mean that online purchases will be how European customers can get their hands on the Surface. It could also mean the Microsoft is working with local retailers, as we've heard is the case in Australia, to provide the Surface to European customers. The online sales option seems to be more viable and easier to implement. Then again, this could just be a case where Microsoft is listing their complete product line across the board for all to see. Hopefully, it's a sign that the Surface will be a global product for all to enjoy.